When you converted the xml file did a report message pop up mentioning any retimed clips being moved? If you do the conversion again it should display again. X2Pro does not keep any retimings from FCP X so this could be the reason the audio is out of sync. It will take the audio out of FCP how it was originally, any edits/retimings to the audio is expected to be done in Pro Tools. Hi Daniel, it did help... but still the audio seems to get out of sync... i will send you a screengrab and a wav file.. what oh what can this be? "Error code: 0x80000004" has been seen before when the destination device was a FAT 32 format. As for the preferences, those two options are not available with the 'LE' version of X2Pro. Those options are only available in the full version of X2Pro. Now I cannot seem to even export an aaf, not even if I export it directly from FCP. I also found that in preferences or settings I for example cannot acces roles or change anything in the tab media handling. Hope you can help me out. What can I do... am getting under time pressure with these diificulties exporting. I have just sent you an email with the files attached. Let me know if it works correctly or if you need any further help. Hi Daniel, thans for your response and helping me out... the version of protools my editor is using is 12.8. Could you export my file as a Protools Project and send me to try, so we can check whether or not that works? In response to your emails, the aaf that you sent us plays perfectly (previous screenshot) and the audio is exactly the same as the mp4. This suggests to us that X2Pro has created a valid aaf file which plays as it is expected in Pro Tools. The wav file that you supplied us with does definitely play incorrectly but we are unable to reproduce/see that problem here on Pro Tools (12.7). 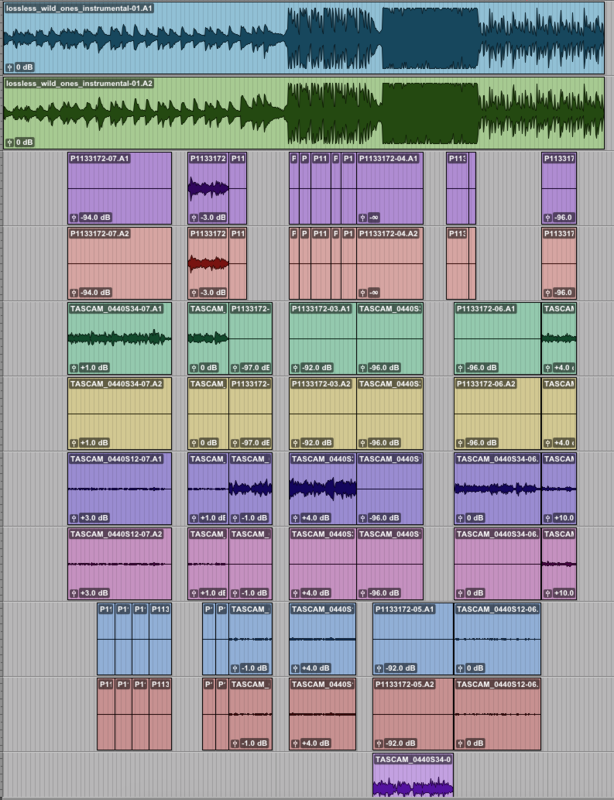 Do you know what version of Pro Tools your audio editor is using? We have looked at the files you sent us and when we play the aaf along side the mp4 clip, it appears to play correctly/the exact same as the mp4. Would you be able to show us where exactly the problem is as we are currently unable to hear it. I have exported a XML file and converted to AAF with X2PRo... but my audio guy says all audio is mixed, delayed or out of sync. What am I doing wrong or is going wrong. I have checked the XML, it s perfectly oke. Can I send it somewhere for you to check? Thank you, I need to get more info from the sound designer. You really need to detail what issue you are seeing, we would need the XML, the X2pro text file on the creation of the AAF and the AAF created, can you advise where the files go out of sync and how are they out of sync, wrong start time, speed is distorted (i..e plays longer or shorter). Can you also advise what version of ProTools is being used, and what settings are being used to import the AAF. Will create a ticket and forward you details (via email) of a location to upload the XML, AAF and any pictures if they help describe the issue. Two things you might want to bear in mind is that fundamentally we do not support re-timing so when we create the AAF we will detail any clips that had retiming in the XML and their start time in the timeline, the idea being that the sound guy will have the list of items that may need to have retiming applied to them in ProTools. Secondly do you have "apply SRC" turned on when you import the AAF into Protools ? Last Edit: 1 year 3 months ago by James Carrick. Did you guys figure out this issue? I'm having the same problem now.